Interstate drug trafficking is the illegal import of unlawful controlled substances—such as marijuana, cocaine, heroin, heroin, methamphetamine and other drugs—via the interstate system. 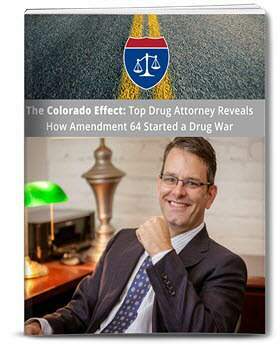 Interstates have always been key for the crime of drug trafficking, as criminals play a dangerous game of cat and mouse with law enforcement. What is dangerous for interstate drug traffickers is the many reasons they can be pulled over: minor traffic violations, including speeding, driving too slow, driving with a crack in the windshield, or a taillight out. Law enforcement has also been known for using illegal tactics such as racial and out of state profiling, making interstate drug trafficking all the more perilous. Once a law enforcement officer has you pulled over, if the vehicle appears to be tampered with (the alteration of panels, screws, or interior parts) for smuggling considerations, they will usually ask for a better view of the car. If you don’t know your rights and concede, then a drug bust may be underway and before you know it another law enforcement team member is onsite with a drug-sniffing dog. Actually, you have the right to privacy and refuse consent, and anyone stopped under these pretenses should simply provide their driver’s license and registration information. You do not have to answer their questions if you don’t want to. Interstate drug trafficking penalties following a conviction for a felony state or federal drug trafficking charge will likely result in very harsh ramifications, like a hefty fine or a mandatory prison sentence. If you are in possession of even a trace amount of drugs such as ecstasy, cocaine, or methamphetamine, you could face a prison sentence of up to 5 years and a fine of $10,000. A larger quantity and prior convictions can carry up to 50 years or a life sentence and fines reaching $25,000. If prosecutors can prove you intended to distribute a controlled substance, your penalties could be even worse. Interstate drug trafficking defense lawyers can challenge the issuance and execution of search warrants to fight unfairly gathered evidence, and can contest illegal search warrants and expose police mistakes made during the process. When the evidence is mounted against you, lawyers can explore sentencing options and potentially reach an agreement with the prosecution. In federal drug trafficking cases, where sentences are far more severe, there may be the option to explore a substance abuse program for the defendant in order to set aside conviction and sentencing. The pre-file stage of an interstate drug trafficking case is the most dangerous for the accused. It is imperative that you call and work with a lawyer immediately after your arrest, because police and prosecutors will move quickly and their investigation will be relentless in getting you to incriminate yourself so they can put you behind bars. 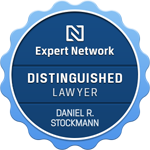 Attorney Dan Stockmann focuses on retaliating against their rabid investigations by launching an effective defense on your behalf before charges are even filed. He is an experienced criminal defense lawyer who can look at all possible outcomes of the case and speak shrewdly on your behalf, to ensure you are not taken advantage of and your rights trampled. If you or someone you know is in need of a criminal defense attorney, you can trust the team at Stockmann Law to help. For a free case evaluation, call Stockmann Law now at: (855) 451-7980.